SoapBoxLA: CityWatchLA - End of the Road for the LADOT! As the City of Los Angeles grapples with the impact of the largest budget crisis since the Great Depression, it is imperative that departmental redundancies be eliminated. The place to start is LA’s Department of Transportation. 1) The City Charter calls for the existence of many City Departments and provides for their funding and specifies their responsibilities. The LADOT is not one of them. In times of lean, the Ordinance Departments are the first to go, especially if their services are or can be provided by Charter Departments. Now is the time to get behind the LAPD, Public Works, City Planning, and other Charter Departments, remembering that the City Charter is what sets the course for tough times and is the blueprint for becoming a Great City, not just a survivor. Double down on the departments that are part of the City’s DNA and eliminate duplicated services and redundant administrative structure. 2) City Departments must focus on core priorities. The LADOT is entrenched in activities that are provided by other departments or agencies resulting in robust turf wars and funding battles that only waste money and impede progress. International Peace Treaties are negotiated and signed with greater ease than an inter-agency deal memo with the LADOT. From bike lanes to street closures to community plans to housing developments, Team LADOT will show up in numbers that simply stagger the process. Consolidate, reduce the conflict, focus on the objectives and get behind those that get it done. Street Services already provides Safe Routes to School programming and they do the work. City Planning is already responsible for the City’s Mobility Plan, let them handle transportation planning. The Metro provides transit services and LA has four seats on the Metro Board. Start getting along with the Metro and work with them! The Bureau of Engineering already builds the streets, support them. Street Services is repairing and maintaining, they’re already on it! 3) City Departments must demonstrate a proficiency. The LADOT has instead offered a lackluster enthusiasm for its core priorities, a casual approach to the implementation of funded programs (Safe Routes to School, Fletcher Bridge, Ventura Boulevard, all funded but stalled), an oblivious approach to parking lot oversight (Pershing Square, Hollywood & Highland), a cavalier approach to parking lot fee collection ($75 million outstanding?) and a completely irresponsible approach to the maintenance of LA’s City’s Parking meters (20% failure rate?). Two years later they offered the same argument when they missed out on Stimulus money. If the City of Los Angeles is serious about qualifying for its fair share of Federal and State funding, it will move to consolidate and synchronize its efforts and stop competing within the City Family for limited funds while smaller cities with less resources go big and bring home the money. The LADOT’s Planning Department handles an integral element of land use - mobility, but their mandate is often at odds with that of City Planning. Community Plans must have authority and that means that the transportation element must be incorporated and balanced, not forced on the community. Dueling philosophies and departmental debates only hurt the neighborhoods and it is imperative that City Planning includes both planners and transportation engineers. The LADOT’s Traffic Department provides a service that should simply be assimilated into the Public Works Department. After all, they already build and maintain the streets. Street signals, street signs, traffic controls, are all elements of great streets, just like curbs and striping and safe grates. It should not take interdepartmental bureaucracy simply to stripe and signalize an intersection. The LADOT’s most recent innovations include a personnel tracking system and a geo-tagging program that identified the many parking meters. If the LADOT is struggling to account for its staff and for its revenue producing assets, perhaps its time to ask if other departments might do a better job. After all, it was the BOE who helped the LADOT identify and account for its many parking meters. Maybe General Services could improve on the LADOT’s 80% parking meter performance rate. Perhaps the Office of Finance could take a shot at collecting parking revenue and fees. It would be hard to do worse! Great Streets, Complete Streets, Green Streets, Safe Streets and Shared Streets are all mobility innovations that are part of making LA a Great City. Now is the time to evaluate the many Departments who have a piece of the street and to refine LA's process for providing safe and effective streets for everybody. Transportation and Mobility are much too important to be entrusted to LA’s Department of Transportation and LA has no money to be wasted on a Department that simply duplicates the services that other LA Departments either provide or should provide. 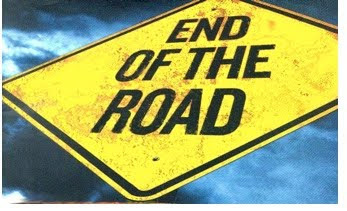 LADOT, it’s the end of the road. I think the DASH and Commuter Express busses should run by Metro rather than LADOT. I think they'd be more visible on maps and on the street. DASH busses would have been converted from dirty diesel to CNG years earlier. The DOT operations and the DOT planners should stay a group: transportation planners can dream all they want, but ops implements -- make them part of it! Oh, fire the current Bicycle Coordinator and get someone with proper focus.